Welcome To With Others. For Others. With Others. For Others. 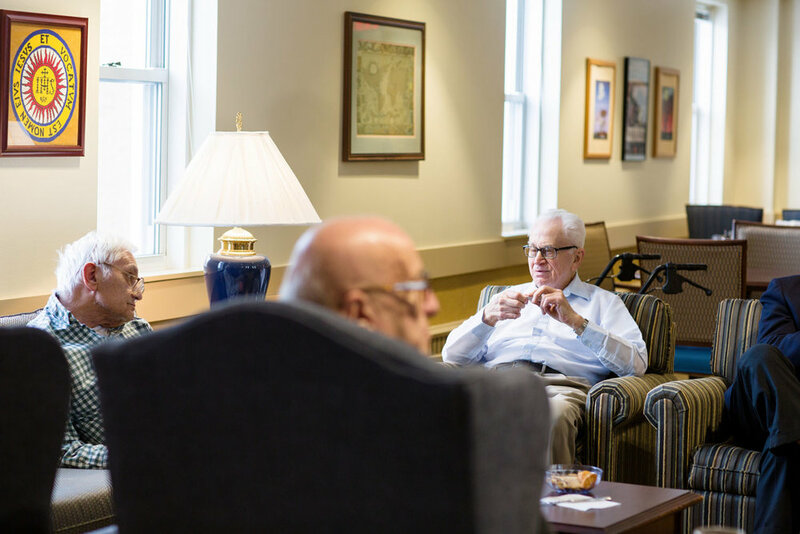 is an essential $25 million capital campaign to help the Society of Jesus meet the critical need of caring for a historically high number of senior Jesuits. Perhaps a Jesuit impacted you as a teacher, school president or administrator, pastor, coach, counselor, retreat leader, or friend in your own spiritual formation. The costs for these men are the same as placing a loved one in a quality nursing home — an enormous expense for any family. The With Others. For Others. 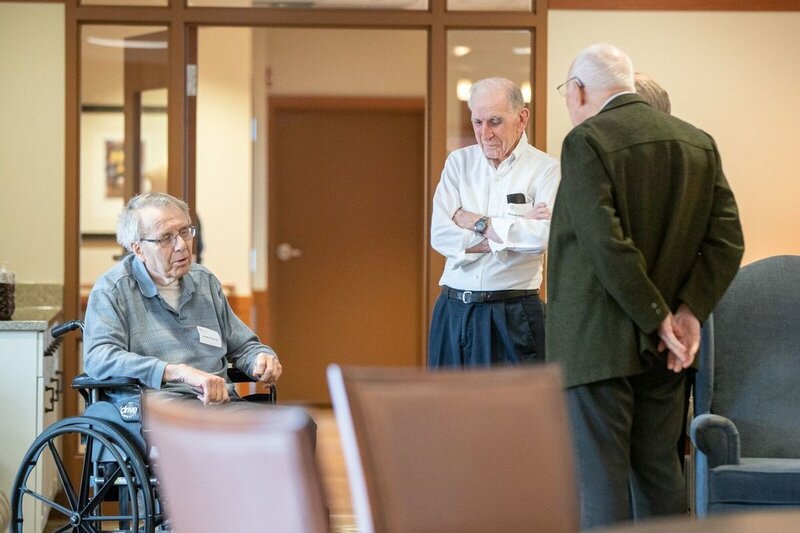 Campaign for Senior Jesuit Healthcare will increase the corpus of the Jesuits Midwest Senior and Infirm Fund and guarantee for many decades the financial resources necessary to care for these senior Jesuits. Groundbreaking for the Jesuit Community took place on April 14, 2016, and the first residents moved in on February 21, 2018. We are grateful to the many benefactors who made this milestone possible. The need remains, as we continue to raise funds to ensure that our senior priests and brothers will receive necessary care in this and other Jesuit communities. 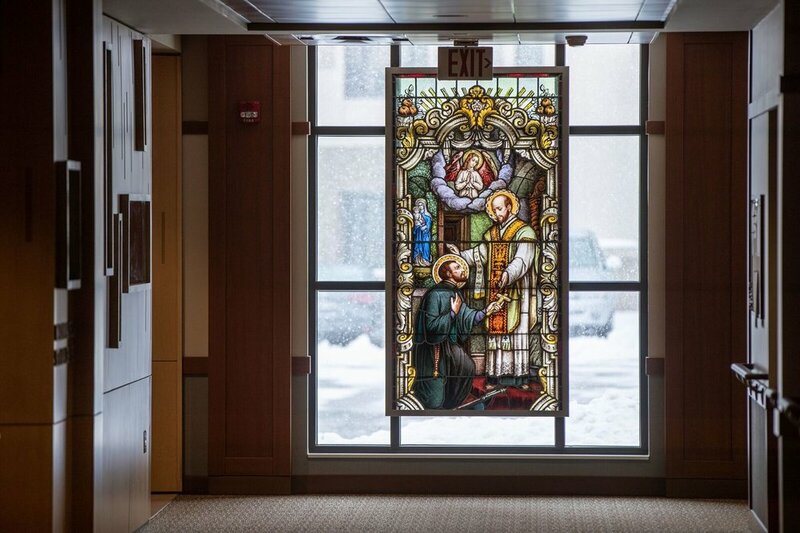 Saint Ignatius Loyola founded the Society of Jesus in 1540 to serve “for the greater glory of God.” Jesuit priests and brothers dedicate their lives to making the greatest impact by serving those in the greatest need.